Austin, Texas…Here we come! We’re publicly launching ^IfMine.com during the South by Southwest (SXSW) Conference and Festival March 8-12, 2013. You’ll find us out on the streets of Austin, chatting with conference goers and passing out freebies. If you’re attending, look for Brian Scavo – He’s taking over our social media for the week and wants to snap a photo of you in an ^IfMine t-shirt! Need live updates during SXSW? Follow us on Twitter, Instagram, Facebook and Google+. Don’t get lost in the crowd! Register for ^IfMine today by using your Facebook or email account. There’s no more waiting! We’re out of beta testing! Read more about ^IfMine’s launch in our first press release: Project Mentorship Platform ^IfMine Gears up for Website Launch at SXSW. A mentor can change a person’s life in a single influential conversation or during a relationship that combines friendship with empowering advice. If you are ready to showcase your ability to help others with your enchanting personality, we need you. 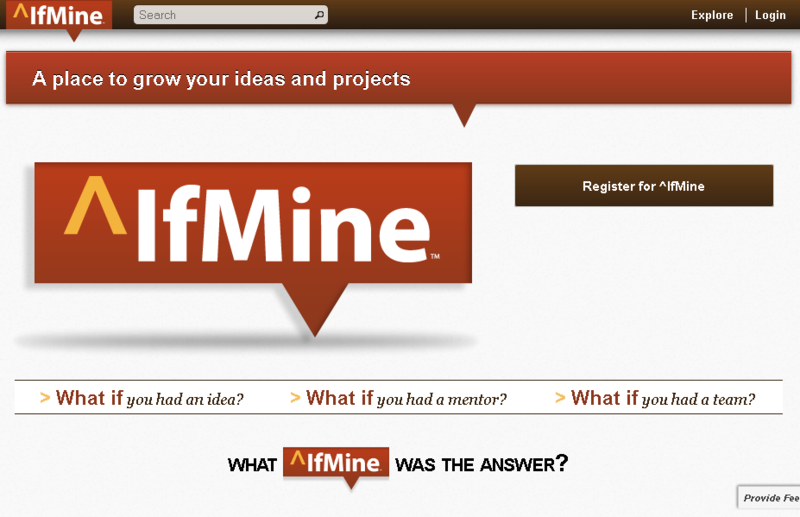 We’re building a community of idea-makers who are growing their ideas at ^IfMine. Mentors, like you, can help guide them to success. Join us. Where do you go when you need a critique? Whether you want feedback on your photography, a school report or any project you’re working on, a good critique can help you reach success. Let’s take a closer look at critiques in today’s ^IfMine Mashup. How to Ask Someone to Critique Your Work: A photo critique is a detailed look at a photo or a group of photos. The person critiquing should point out what they like and don’t like about the work, and offer suggestions for improvement. Read more at Tocofi. How Can I Learn to Take Criticism Without Taking It Personally? : Look at criticism as a chance to grow and get better—or even to surpass the person delivering the critique. It’s easier said than done, but knowing your strengths and being ready to hear and accept your weaknesses is the most powerful thing you can do. Read more at Lifehacker. How to Self-Critique Your Design Projects: Self-critique is checking on your own design, searching for flaws and other points to improve. Wikipedia defines it as “auto-critique that refers to the pointing out of things critical/important to one’s own beliefs, thoughts, actions, behaviour or results; it can form part of private, personal reflection or a group discussion”. Read more at Naldz Graphics. Avoid Problem Solving For Better Critiques: Good critique comes from mutual understanding. The primary goal of any critique should be improved understanding, specifically the improved understanding of the creators on how the design choices they’ve made so far are working to achieve or not achieve their goals. Read more at Discussing Design. Visit ^IfMine to share ideas, receive feedback on your projects and offer constructive criticism to help others succeed.